American motorists drove more than 1.58 trillion miles in the first six months of 2017, a 1.6 percent increase from the first six months of 2016, U.S. Department of Transportation’s Federal Highway Administration (FHWA) data showed. The 24 billion mile increase in the first six months of 2017 continues the trend of steadily increasing vehicle miles traveled that began in 2011. It “highlights the growing demands challenging the nation’s roads, and reaffirms the importance of improving the nation’s infrastructure investments and streamlining the environmental and permitting processes,” FHWA said in an Aug. 29 statement. 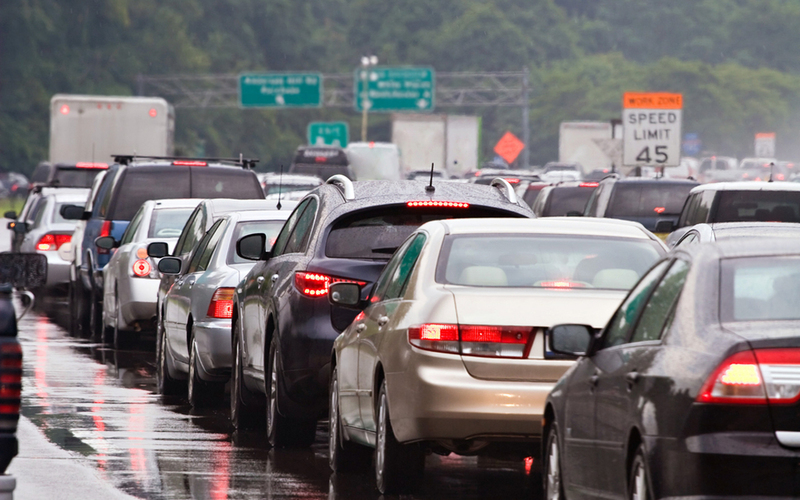 Travel on all roads was up in every region of the country in June compared to the same month last year, at 280.9 billion vehicle miles versus 277.5 billion in June 2016, an increase of 1.2 percent or 3.4 billion vehicle miles. June travel was near flat with the prior month’s total of 281.2 billion vehicle miles. Total vehicle miles traveled last year hit a record high over 3.2 trillion. FHWA’s monthly Traffic Volume Trends report is based on state data collected from more than 5,000 continuous traffic counting stations nationwide.